Chemistry is a rapidly growing discipline bringing new discoveries theories, and scientific applications that ultimately benefit society. It is necessary for practicing chemists to be proficient in a wide range of chemical disciplines in order to address the important problems that lie at the interface of chemistry and closely related disciplines. 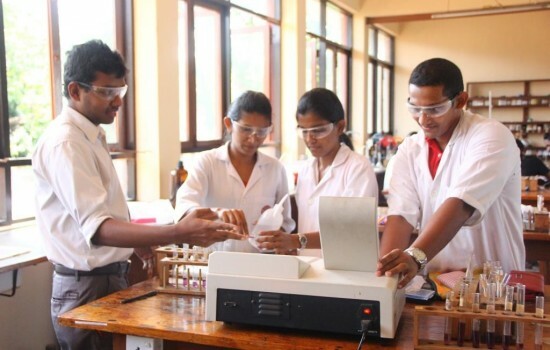 The Department of Chemistry at the University of Sri Jayewardenepura offers courses that incorporate the most recent advances in the discipline and provide students with a strong foundation in the fundamentals of chemistry and a choice of more specialized optional courses which cover a wide range of topics to suit their future goals. Academic programs in chemistry are designed to meet the needs of the country and make the students prepared to seek employment with confidence. Since 2004, the department of Chemistry offers the subject of Polymer Science and Technology also as a subject for the general degree. The course consists of course work, practical classes and a research component geared towards training Polymer Scientists/Technologists, Quality Control Officers, Plant Managers, etc. needed for industries dealing with plastic and rubber products. The vision of the department is to contribute to national development, scientific advancement and professional development by providing up to date training and opportunities to students to become efficient and successful professionals. Four Chemistry honors degree students (L to R) Miss. K. L. J. Weerarathna, Miss. A. U. W. Dissanayake, Miss. M. C. B Ariyawansa and Mr. R. A. N. P. Ranasinghe have received “Best Performance Awards” securing the highest GPA from the B.Sc. Chemistry special degree (honors) program. Ms. Chamika Madawala will be representing the 256th American Chemical Society (ACS) National Meeting and Exposition in Boston, MA, USA. The ACS International Student Chapter - Dept. 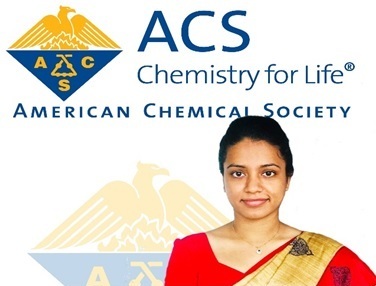 of Chemistry at University of Sri Jayewardenepura has been selected to receive a complete sponsorship to attend the 256th ACS National Meeting and Exposition in Boston, MA, USA taking place from August 19-23, 2018. 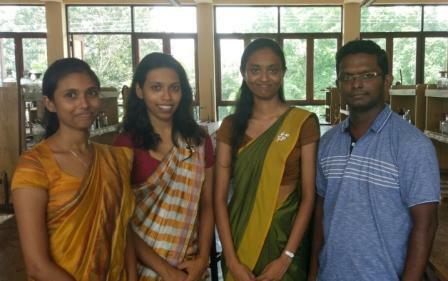 Ms. Chamika Madawala (4th year Chemistry Special Degree Student) has been selected to attend the meeting permitting the opportunity to interact with other student members and chemistry professionals, as well as to attend several undergraduate/graduate events and represent the ACS Student Chapter at University of Sri Jayewardenepura. Biannually, American Chemical Society (ACS) hosts a national meeting with five days of symposia, tutorials, and poster sessions that cover every area of chemistry, chemical engineering, and related sciences. A comprehensive National Meeting Exposition delivers additional value to meeting attendees, featuring more than 250 scientific companies. At each meeting, the ACS Career Navigator hosts a career fair for ACS members, leadership courses and short courses with renowned instructors and career workshops. The ACS national meeting attendees have the opportunity to share research findings, explore solutions and network with chemists, chemical engineers, allied professionals, students and educators from around the world. This could be considered as an excellent platform for University of Sri Jayewardenepura to become integrated into the global chemistry landscape, present research and familiarize with ACS.